Dr Kevin Fong flies with a US air ambulance crew and discovers why it’s seen as one of the most dangerous occupations in America. In a new four-part series for BBC World Service and The Open University, broadcaster and medic Dr Kevin Fong explores what healthcare can learn from other organisations that succeed and fail. In this programme, Kevin joins a helicopter air ambulance crew in the United States and discovers how the combination of commercial pressures and de-regulation have resulted in helicopter EMS becoming one of the most dangerous occupations in the country. According the National Transport Safety Board, the body charged with investigating aircraft safety, over a twenty year period, they have averaged one accident every 40 days in the United States. 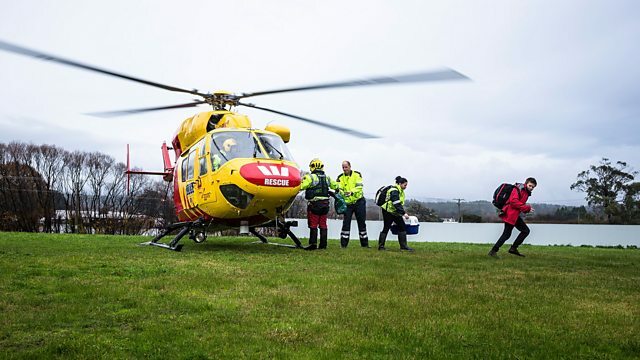 Kevin hears from medical crew, pilots, regulators and survivors, to discover what needs to change in order to reduce accidents and improve safety for the hundreds of thousands of patients transported by helicopter air ambulances each year. "My only reaction was sheer terror"
What makes single engine helicopters so dangerous? Why do so many US air ambulance helicopters crash? To find out more about how the NHS has been trying to sustain success through a culture of improvement and learning from failures, visit OpenLearn, the home of free learning from The Open University.